This bold redwood live edge mantel has a grayish brown live edge with knots and burl wood nodules. 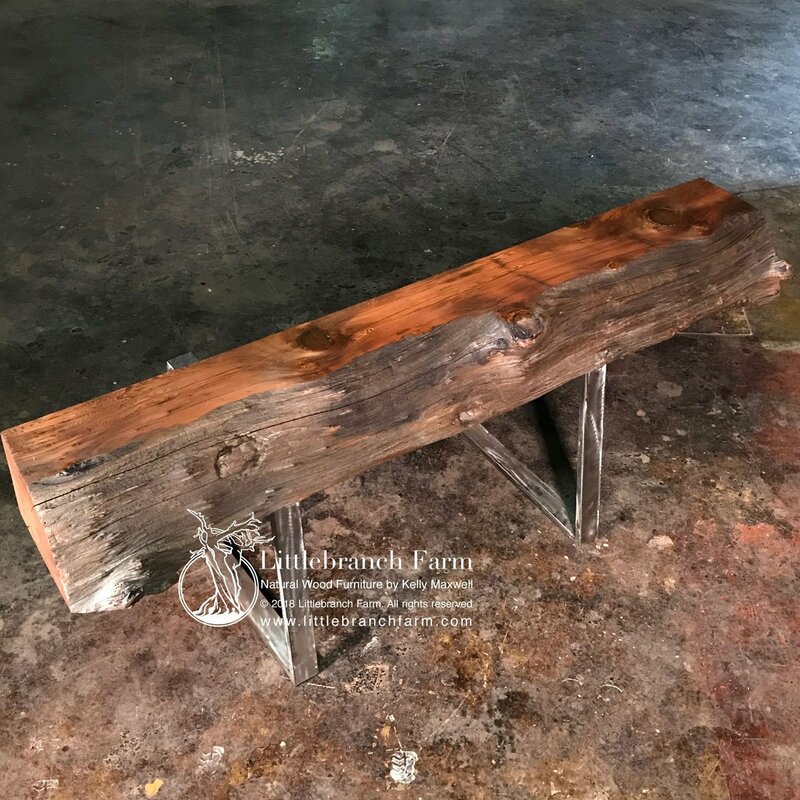 This stunning rustic mantel will make a bold statement and stand out in your room. 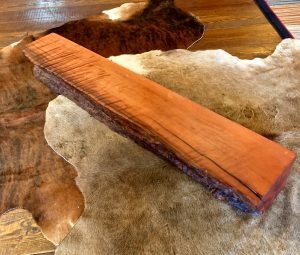 Made from a salvaged old growth redwood makes it not only historic but a collector’s item. 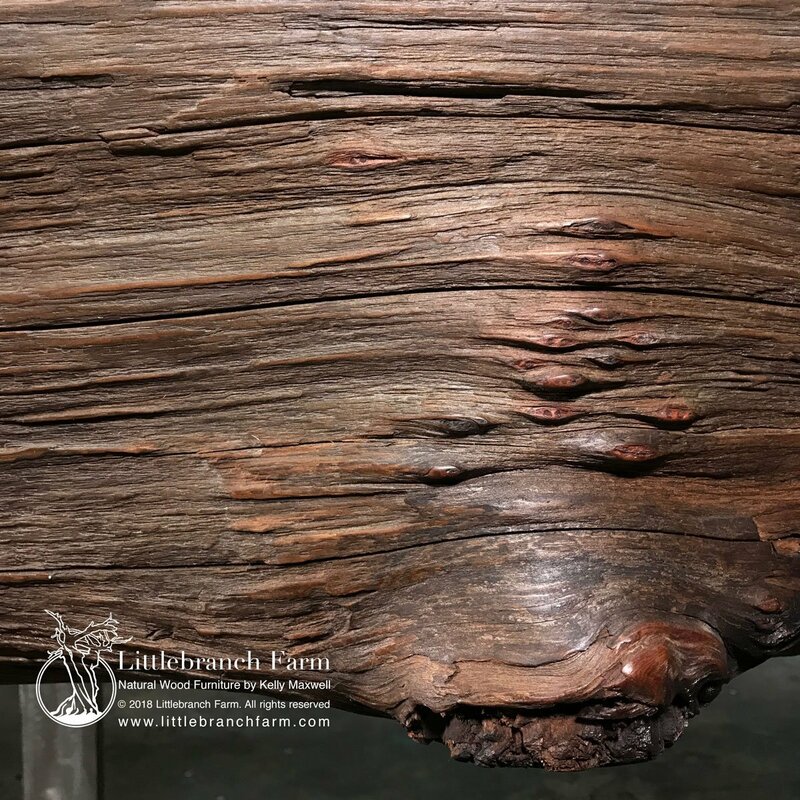 Old growth redwood is also used in guitars and natural wood furniture. 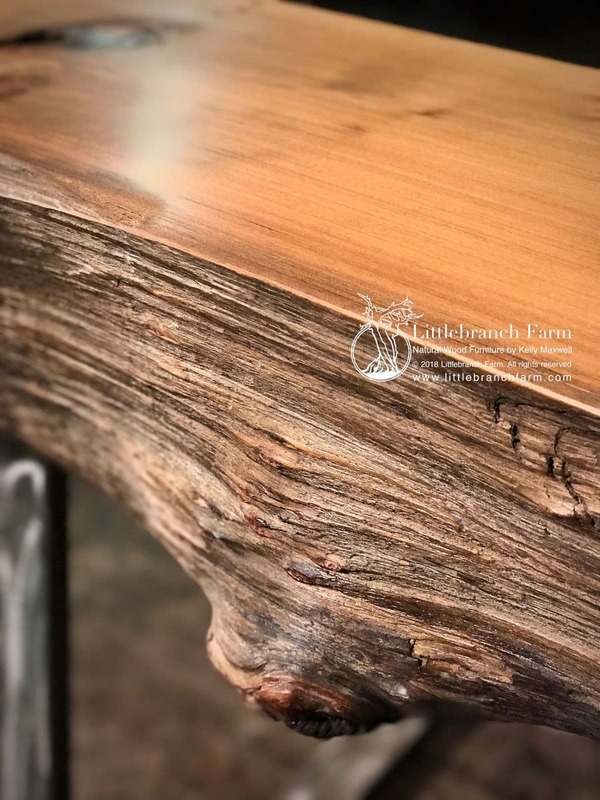 Custom wood furniture makers use live edge wood slabs and wood planks to build rustic dining tables, wood countertops, and other rustic furniture. 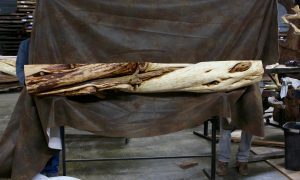 By using natural live edge wood slabs and other natural wood each piece is artistic yet functional.